Tiramisu is one of the few desserts that I see as a classic. The coffee-flavored confection is made with ladyfingers that are soaked in coffee and stacked with a sweet cream made from eggs, sugar, and cheese. With all the years I've been working around food, I've yet to see someone attempt an unorthodox approach to the time-honored dessert. Well, that bar has now been set thanks to these Tiramisu "Tacos." 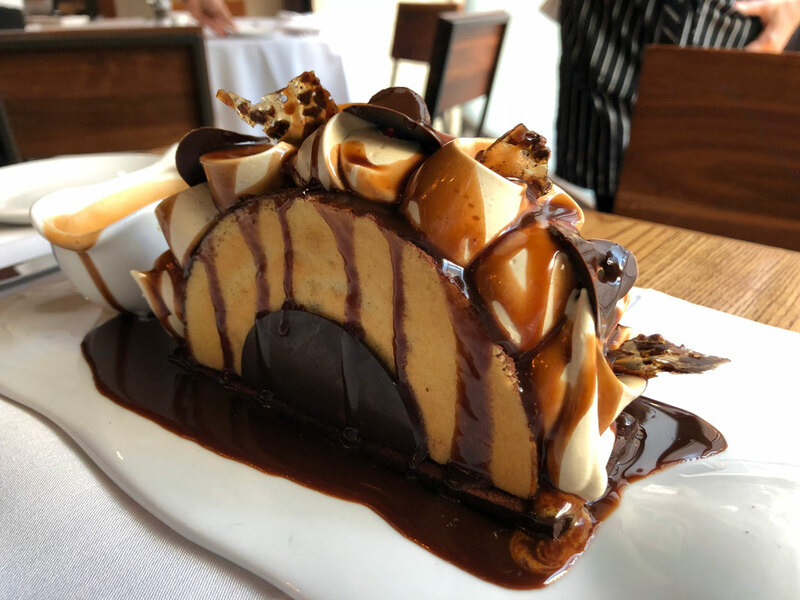 Quality Italian, located in New York City, is serving up a decadent spin on the iconic tiramisu dish. Called the Tiramisu Congelati, the innovative dessert is a contemporary love letter to fans of traditional tiramisu. It essentially translates to frozen tiramisu. The dessert combines a block of mascarpone gelato and sandwiches in between two layers of sponge cake that's soaked with coffee liqueur and coated with a spread of espresso ganache and served on a chocolate sablee. Adorned atop this work of art is a cinnamon meringue coupled with chocolate curls and crunchy glass tuiles to add yet another layer of texture. Finally, it is introduced to a waterfall of chocolate-coffee caramel. Visually, it resembles a decadent dessert taco we're more than happy to sink our teeth into. Those with a sweet tooth and a taste for tiramisu will find this on the dessert menu you Quality Italian. For those looking to experience something a little savory beforehand, the restaurant is also home of the original Chicken Parmesan Pizza.